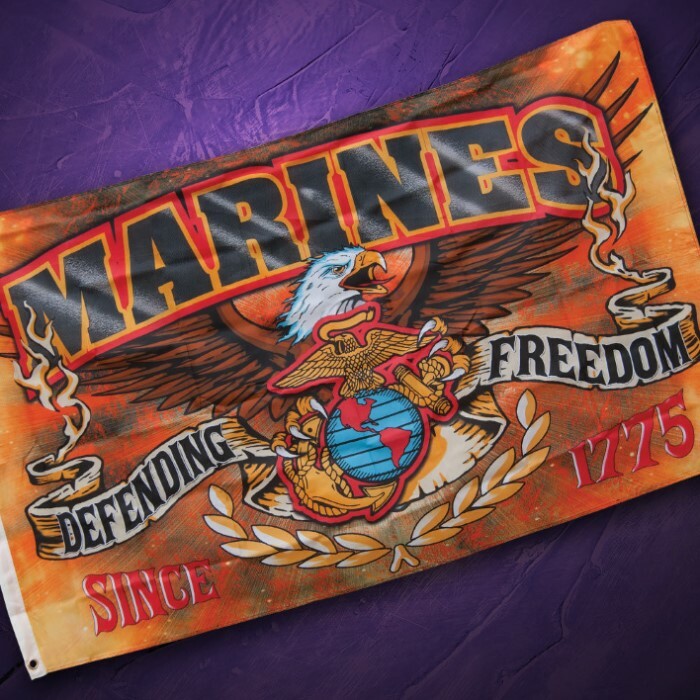 Show your support for the brave freedom fighters serving our country. 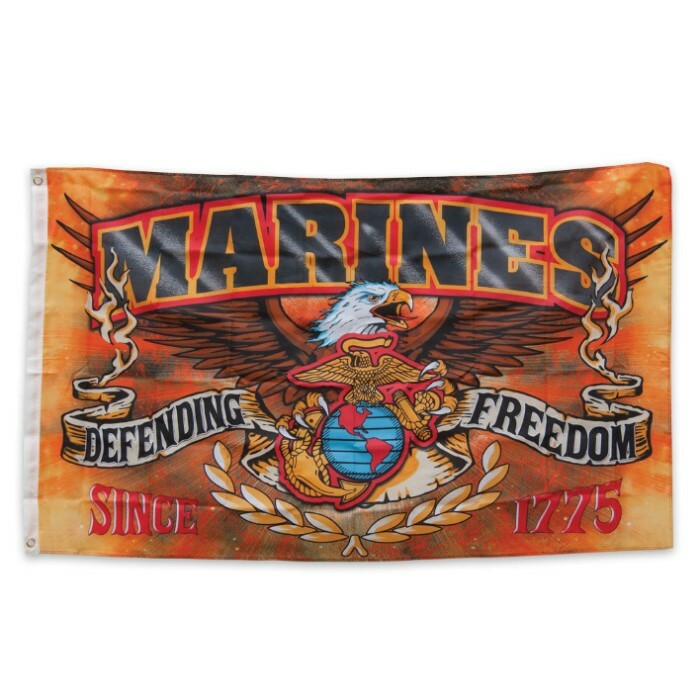 This Marines Defending Freedom flag features full color artwork, polyester construction, and grommets for hanging. EXCELLENT COLOR AND GRAPHICS! LOOKING FORWARD TO DISPLAYING ALL YOUR FLAGS AT OUR FOURTH OF JULY AND VETERANS DAY PICNICS. I`M PROUD TO DISPLAY THIS FLAG TO HONOR ALL THAT SERVED PAST PRESENT AND FUTURE.